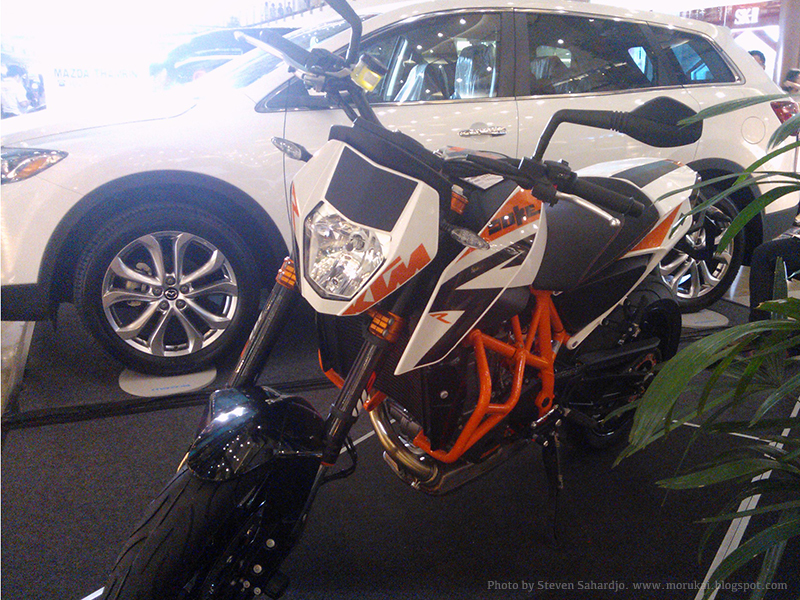 It was very excited when I visit the KTM Auto Show, somewhere in a mall at South Jakarta. 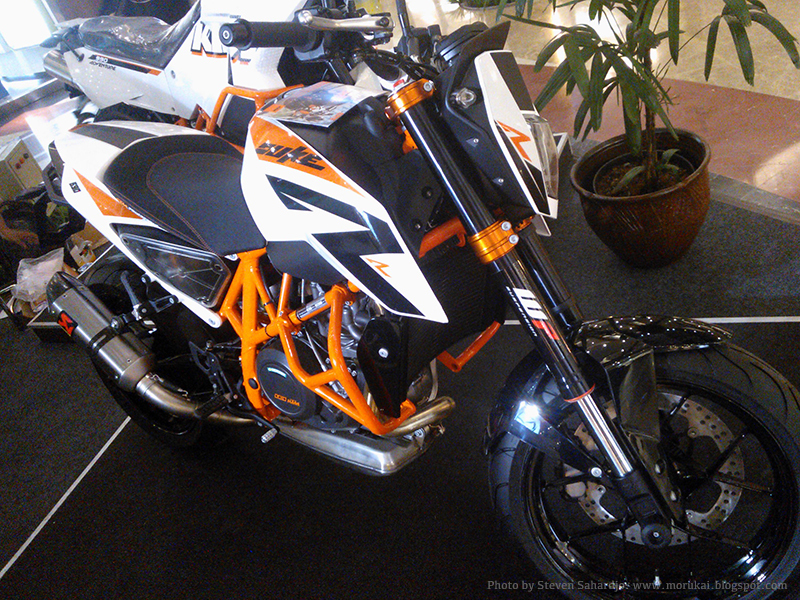 There was a brand new KTM Duke 690 displayed on a booth. 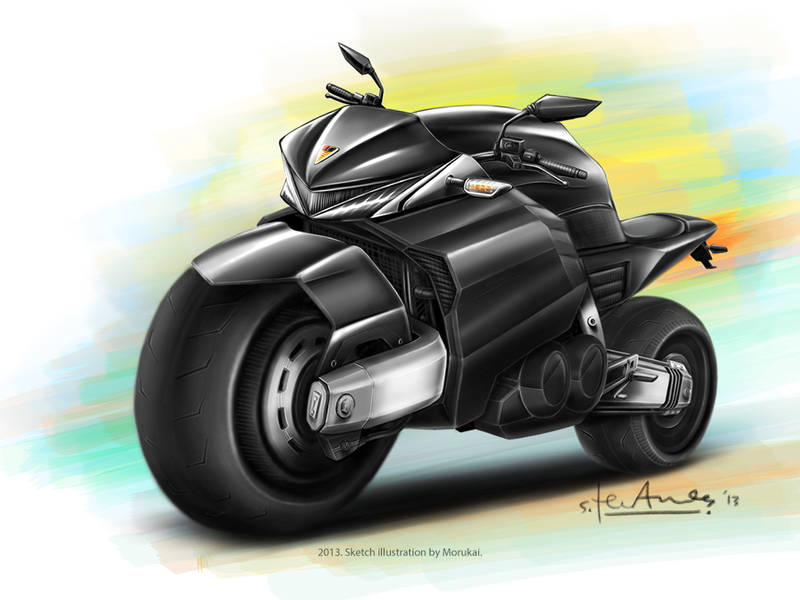 That was my first look on that bike, and close enough to see some details. Awesome! And I like the colour combinations which finished in white, black and orange. 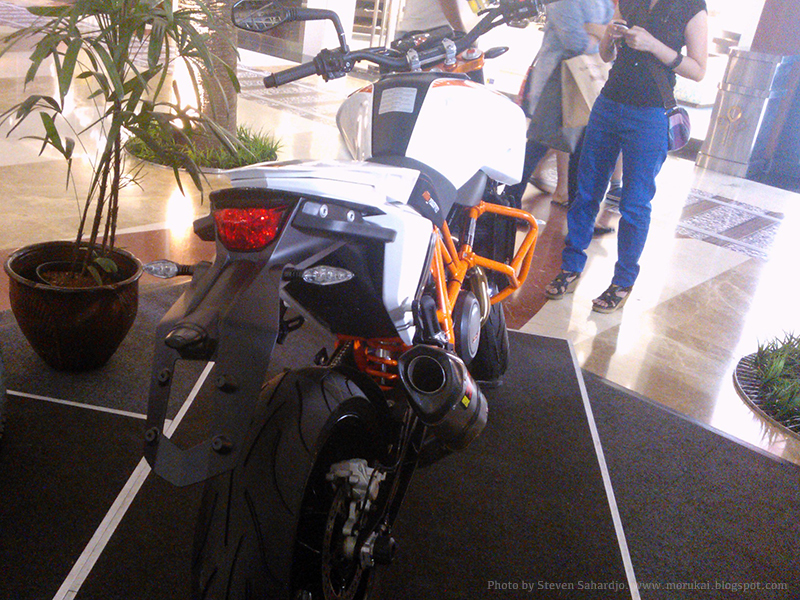 Usually, the KTM motorcycle has a brand colour in orange, but this version in white. And luxury too! That Austrian naked bike was selling around IDR 250 millions. Here are the pictures. 2013. Batpod street version. Sketch illustration by Morukai. This sketch made by digital painting techniques. 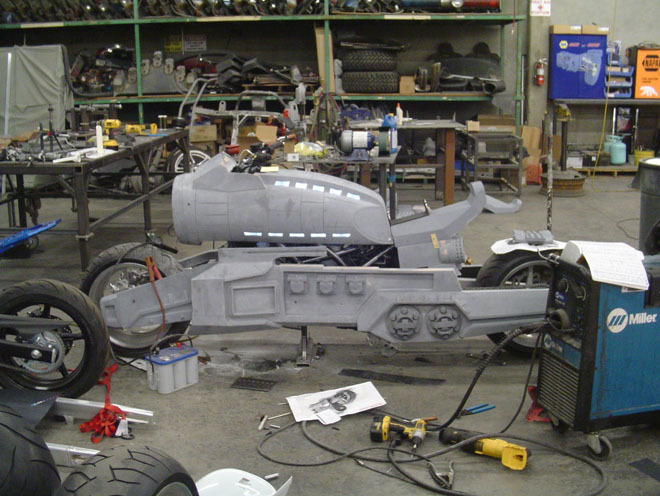 Inspired by the Batpod in the Batman films, i.e., the Dark Knight and Dark Knight Rises. 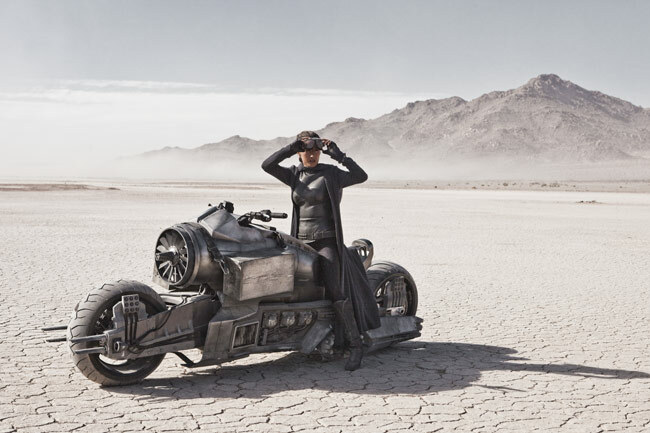 Batpod is an attractive bike, but just in the film not in the real. But if it really real, it will not suitable to ride. Even some people has made replicates. Batpod has a capable suspension to swinging and rotates 180 degrees while turn from its positions. This is a street version of Batpod. Each details in this bike used the parts of common bikes. It has a large front suspension which controlled from a front hub-center steering, rear travel suspension with a unique shapes, large fuel tank, massive headlamp with LED headlight, carbon rims, tyres and a sharp tail. 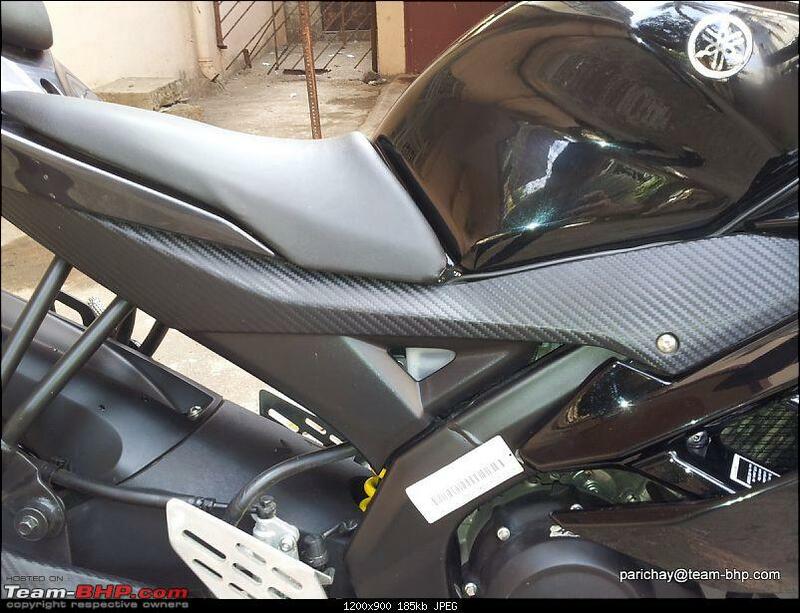 The body made from carbon fibers, which generally used in many high end bikes. What should we named it? Kawasaki Z250 first announced at public in early 2011 in Jakarta. 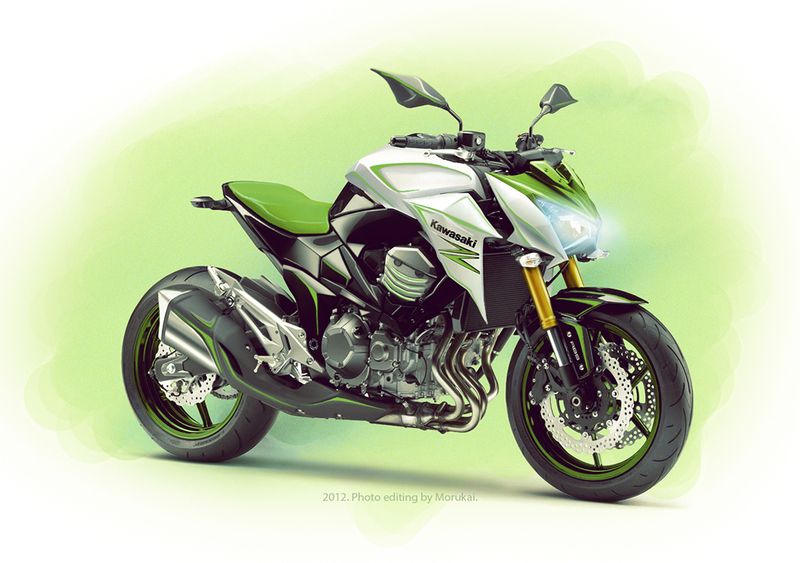 Bike enthusiasts were surprised of the model, because its a naked version from Kawasaki Ninja 250R. But some of them disappointed too, it caused by half fairing design that looks weird. It means unusual half fairing. It covered the half machine that should be more exposed. What is supposed to be? 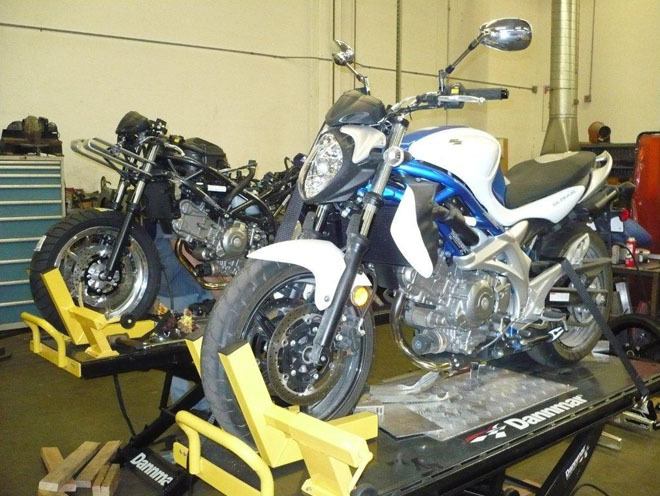 Kawasaki just had reasons to its version design, they had research and development for years before its product launch on markets. I just thought that current model would simple without half fairing. 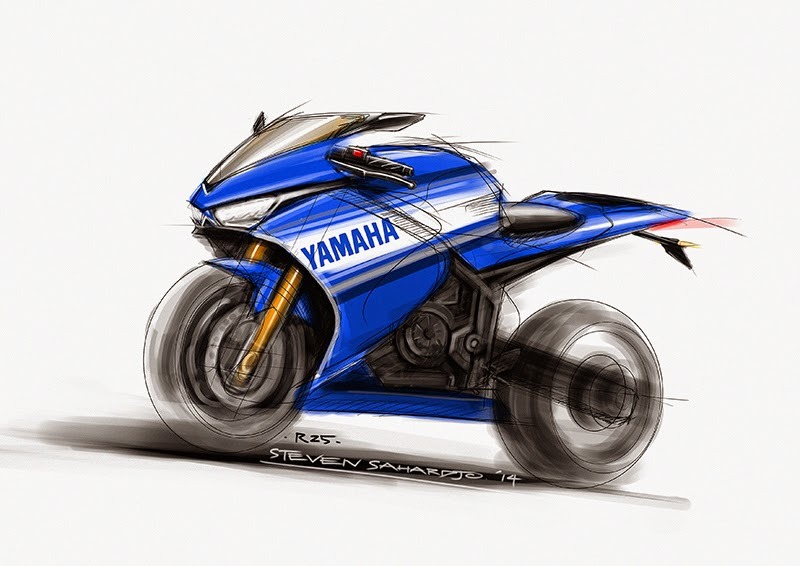 Then I draw a custom bike like the picture below. I creates tank shrouds that merged with large fuel tank, headlamp with LED headlight ornaments. Creates an up-side down fork suspension that includes double disc brakes. I made the swing arm in aluminium look, its bold and huge too. The other part that I won't missing on this custom naked bike was a fork brace, it's a small part that keep handling balanced on this bike. Its placing above the front fender and clamped on between an up-side down suspensions. It's usually for a long riding. 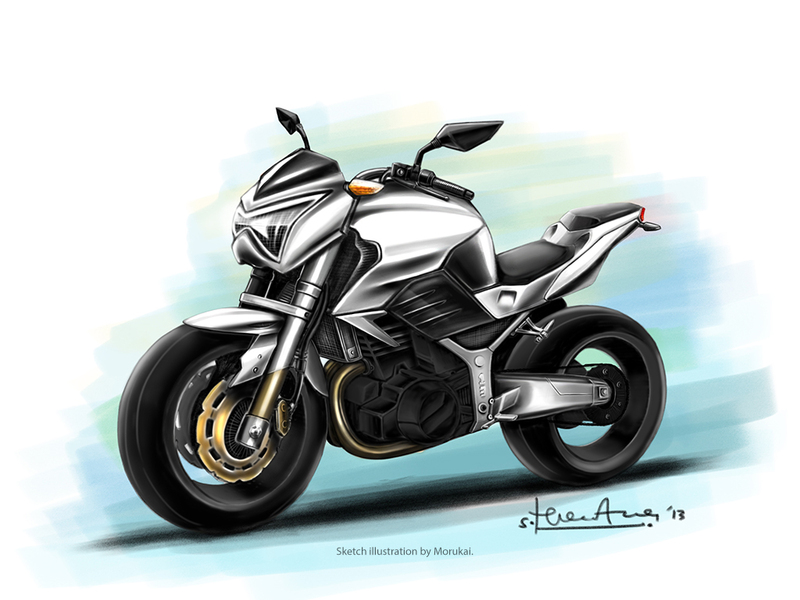 This sketch illustration created with digital software. 2013. Kawasaki Z250. Sketch illustration by Morukai. 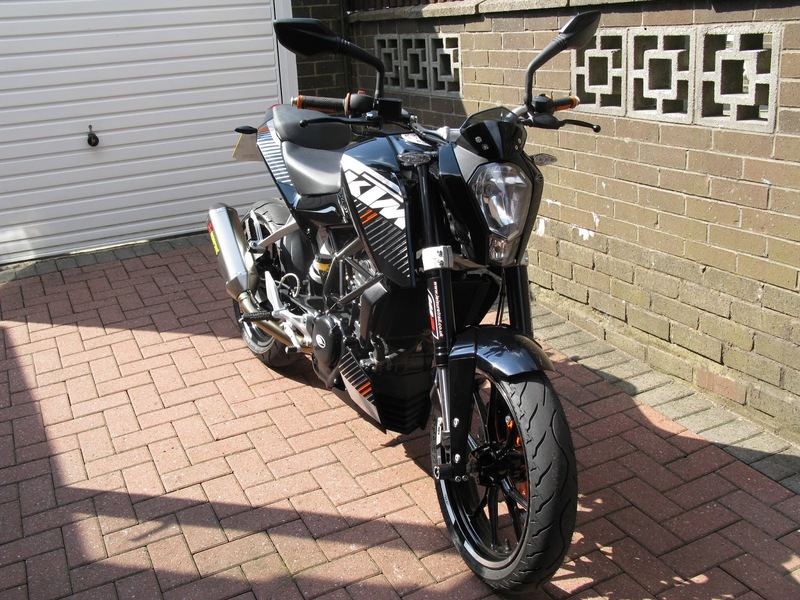 Call this KTM model as a Duke 290. 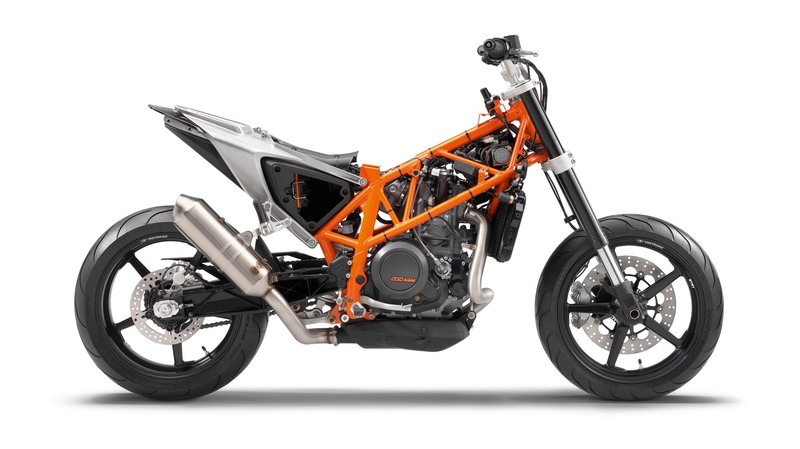 This bike has combines three different parts of motorcycles, KTM Duke 200/390, KTM Duke 690 and KTM 1190 RC8. This custom naked bike already changed from its current model. 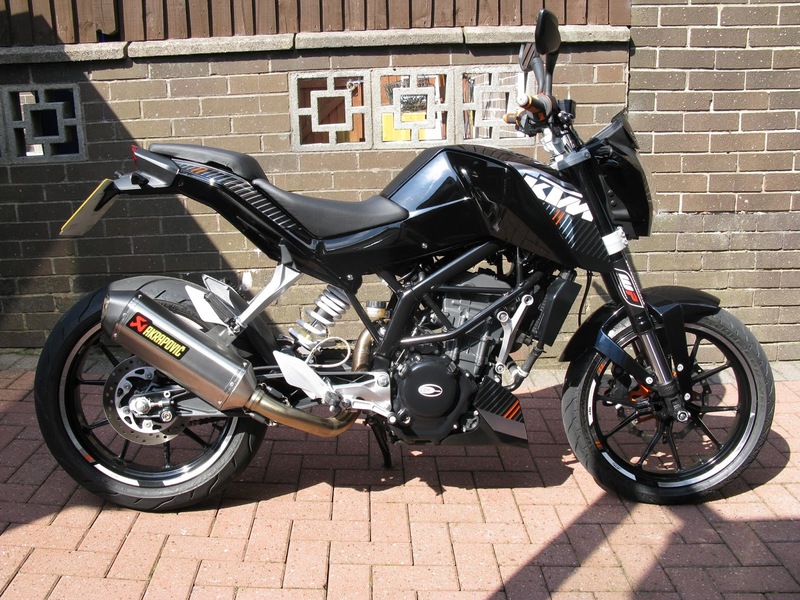 This bike looks bigger because of the suspension from KTM 1190 RC8. Many changes on part components such as front fender, rear fender, an ABS system with double disc brakes, large rims, large tyres and custom headlamp. 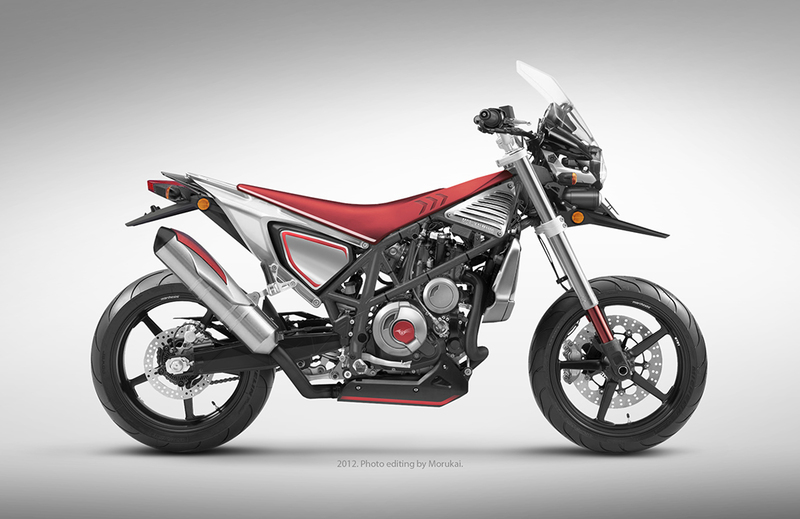 Finally, this custom bike has totally different from KTM Duke 125, 200 and 390 models. Have you see the difference? This image below was modified with digital software. Photo editing by Morukai. 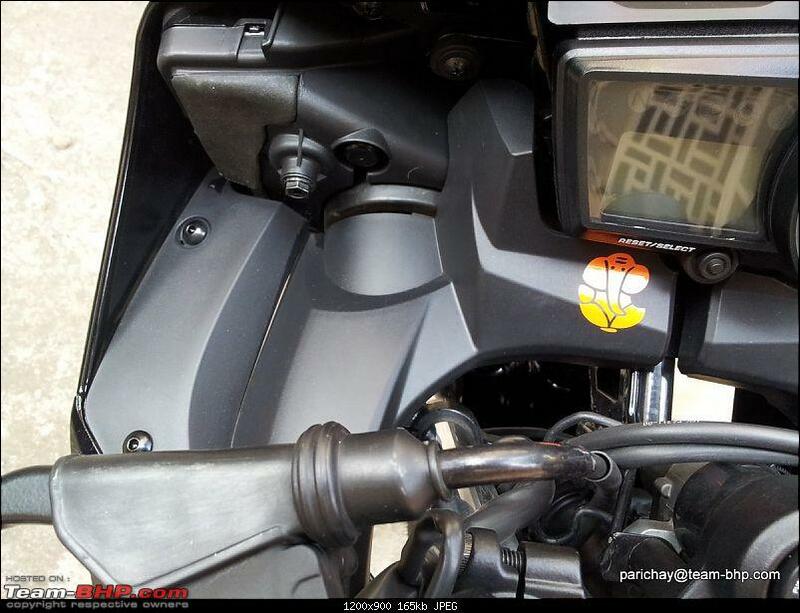 Original photo from KTM Duke 390. The Honda Super Cub 60'-70's is a rare vintage bikes. I would extremely happy to see those bikes on the streets. Most of parents in Indonesia had those cubs when they were young. 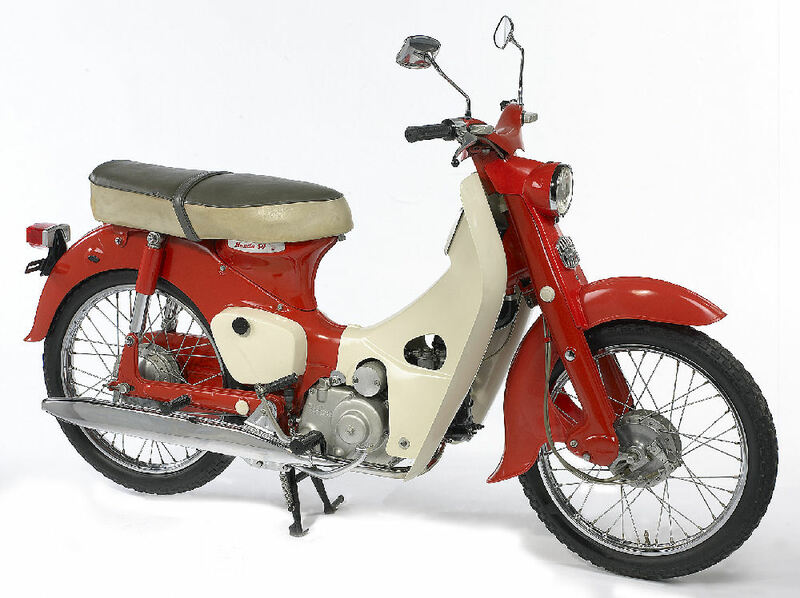 The Honda Super Cub was a common motorcycles for decades, especially in Indonesia. 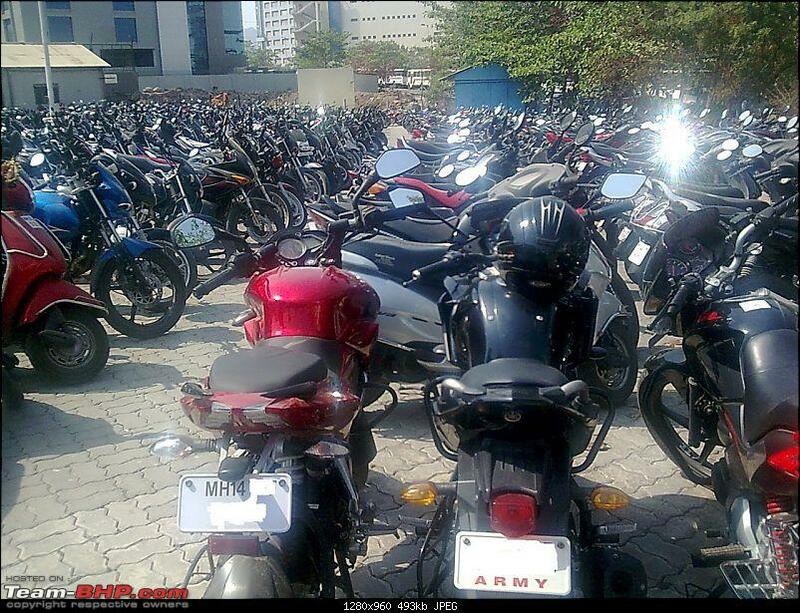 Many brand motorcycles was called as a Honda, even that's not Honda's brand of motorcycle. I have been remembered in my childhood, my parent had that bike in a classic green. The Honda Super Cub 50 manufacturing in Japan at 1960s. The Honda Super Cub developed with engine displacement versions from 49 cc to 109 cc, four stroke single cylinder. In Indonesia, Honda Super Cub dominates the markets with version Cub 70. The difference between Honda Super Cub 50 and Honda Super Cub 70 is the headlamp. Honda Super Cub 50 positioning it under handlebar, and Honda Super Cub 70 at front handlebar. Those were authentic vintage bikes and people still collected its until today. 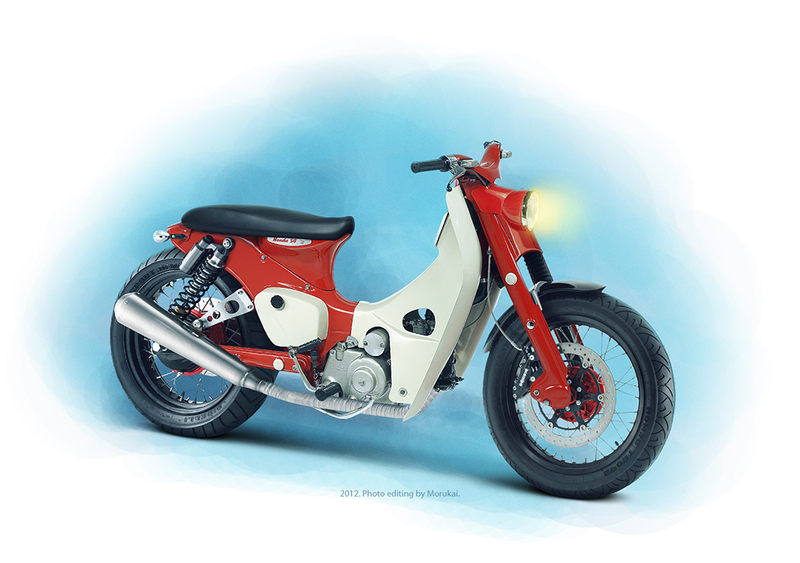 This custom bike is a flat racers Honda Super Cub 50, looks vintage and classic. I was combined part components with vintage bike too, that was Moto Guzzi V7 Racer. I'm using its parts such as front and rear suspension, spoke wheels, tyres and exhaust pipe. 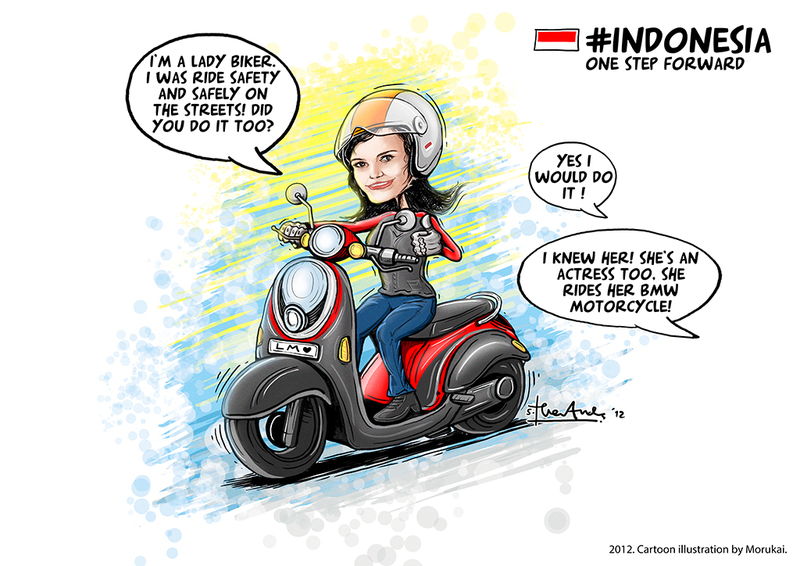 Finally, this flat racers from Honda Super Cub 50 has done. Are you collected vintage bikes? This image below was edited and composed in a digital software. Manufacturing in Germany, the BMW R1200 GS Adventure is a fabulous bike. That is the most heavy enduro motorcycle in the world. Many adventure challenges and competition journeys had featured that bike. Have you been watching Long Way Down TV documentary series? Ewan McGregor and Charley Boorman were riding their BMW R1200 GS Adventure around the world. 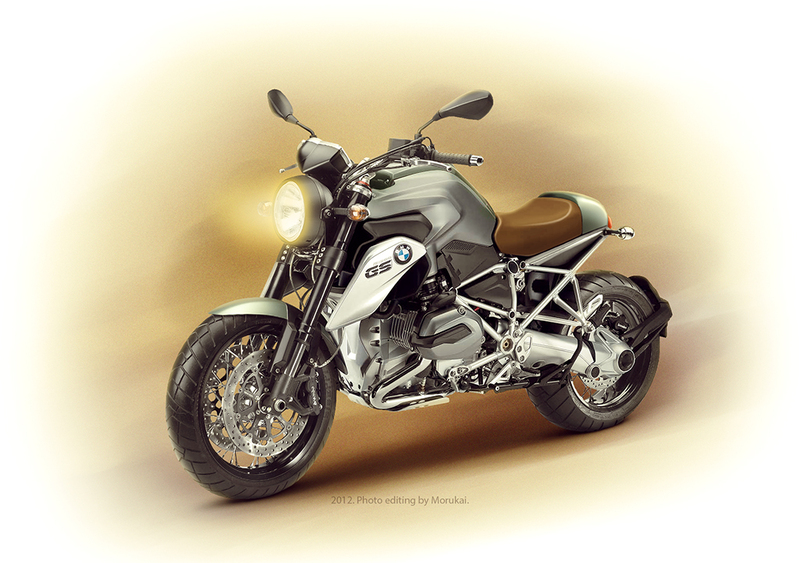 BMW R1200 GS Adventure has a famous engine, it called Boxer. It built exclusively for BMW motorcycles. Boxer has a horizontally opposed pistons in the form engines, which each piston moves in and out together. Until today BMW still using the engine for their motorcycles. 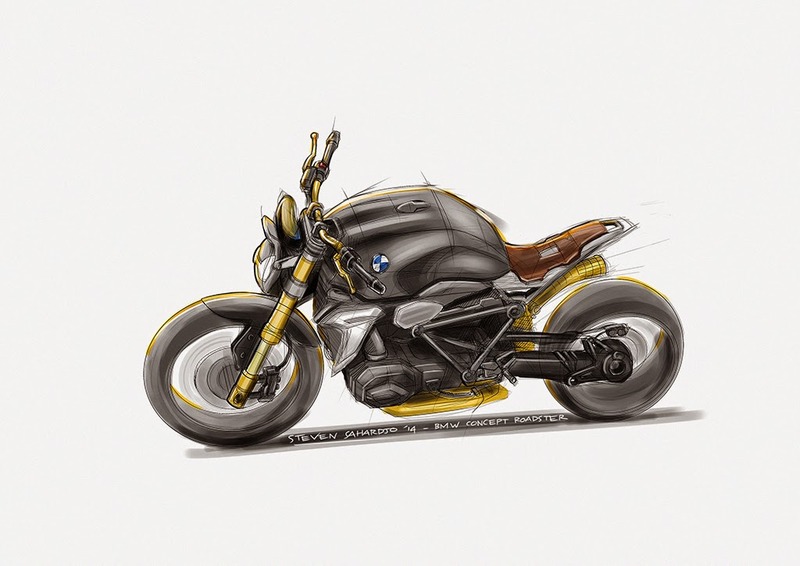 This is a custom cafe racer of the BMW R1200 GS Adventure, which modified in a digital software. I'm using parts from Moto Guzzi such as spoke rims, tyres, front up-side down suspension, classic headlamp and handlebar. To make it more vintages, I have been cut down the tail chassis of the BMW's. Last was created a cafe racer seat and tail. And here is the custom bike with new colours too! 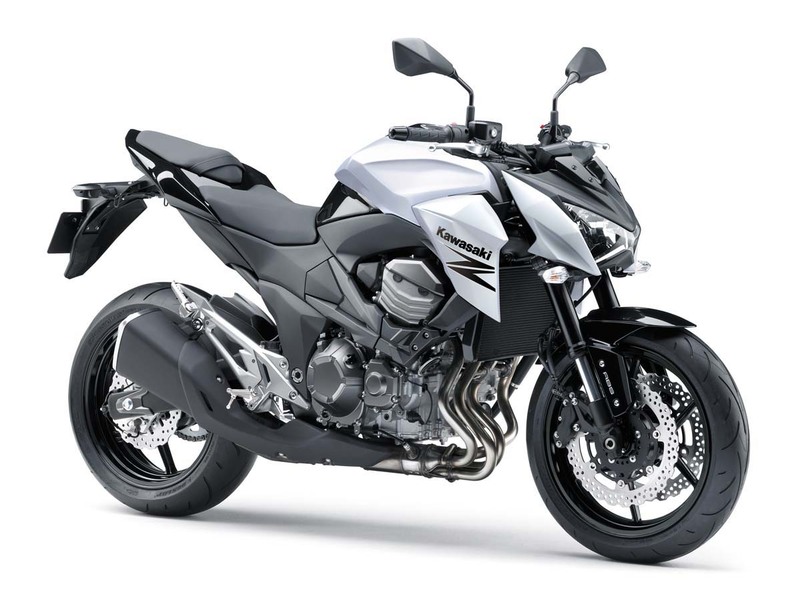 Kawasaki Z800 is a powerful four cylinder streetbike. 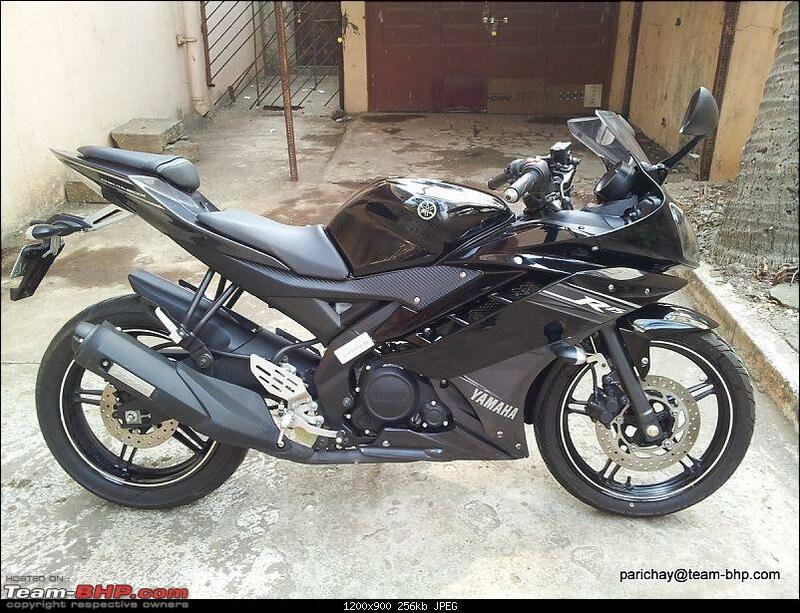 That bike which manufactured in 2013 was the predecessor of Kawasaki Z750 model. I was wondering what it could be on custom bike. Then modification just start to begin. I'm covering this bike with colour combinations in white, black and green. 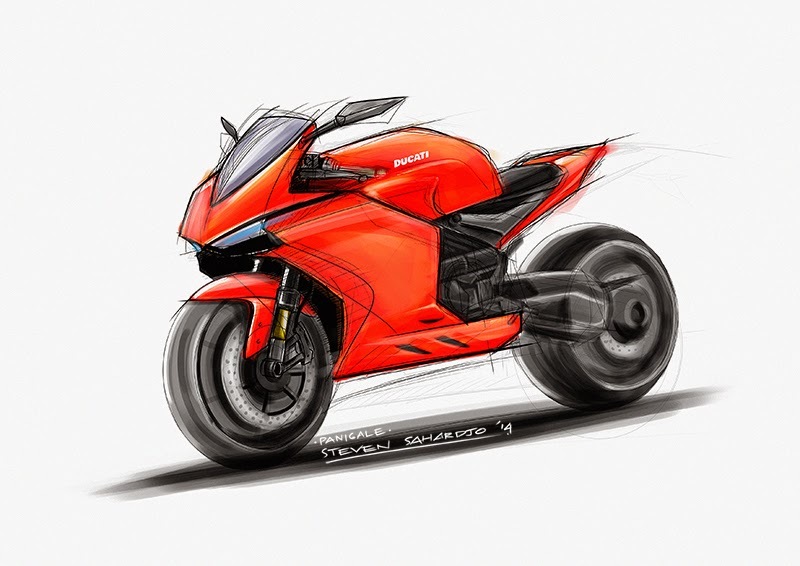 Arrange its colours at different placement such as seat, fuel tank, fairing and exhaust pipe. I also decrease the seat thickness to make the fuel tank more exposed. Adding some stripes and decals to be the part of the body. Last, I removed rear fender and cut the tail chassis. And now this modification is completely a custom street-fighter. What do you think? This image below was edited and composed with digital techniques. This custom bike composed with digital software. 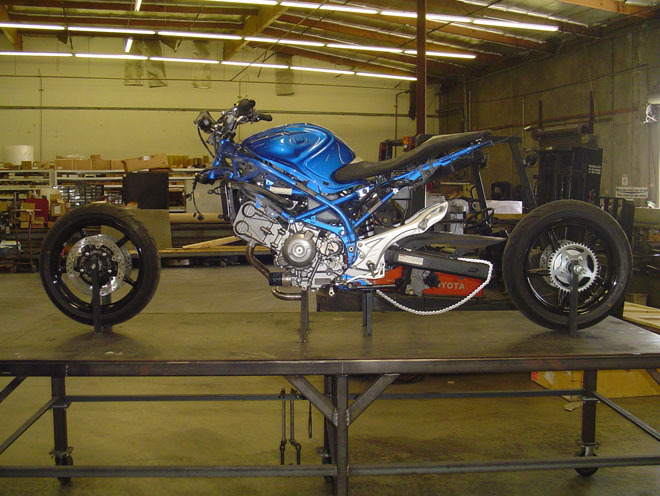 I used a chassis from KTM Duke 690 as the main part of this custom bike. 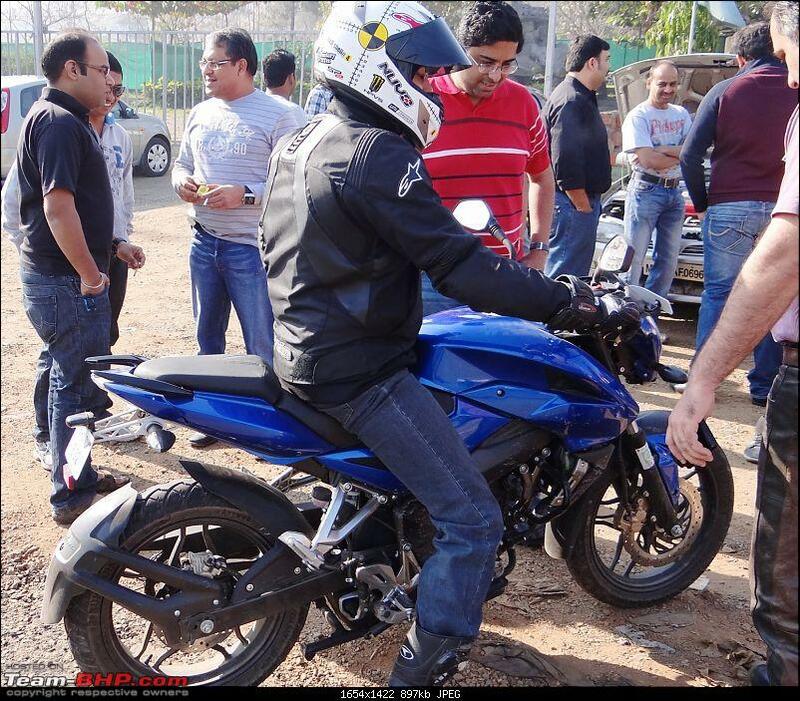 This image below is edited version of the Bajaj Pulsar 200 NS and I called this custom bike as the Pulsar 200 SS. 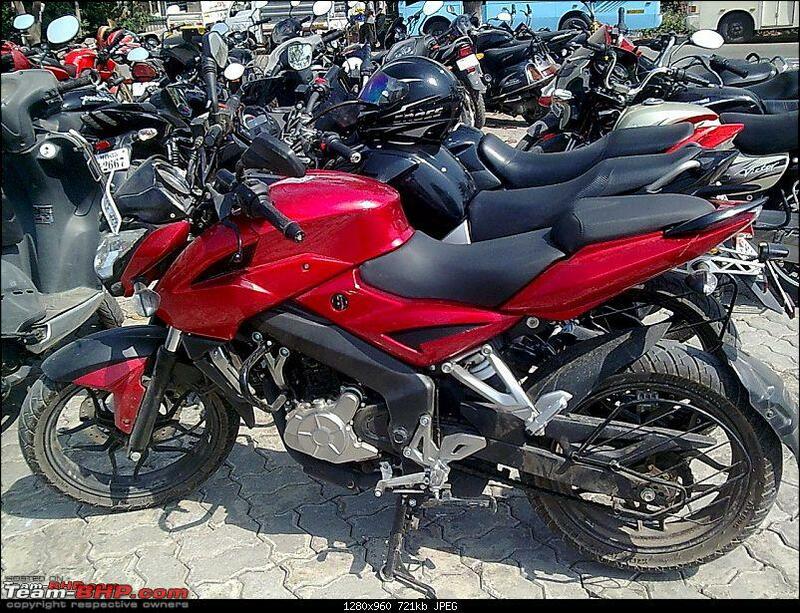 There is a rumour said that Pulsar 200 SS is a super sport / fairing model of Pulsar 200 NS. 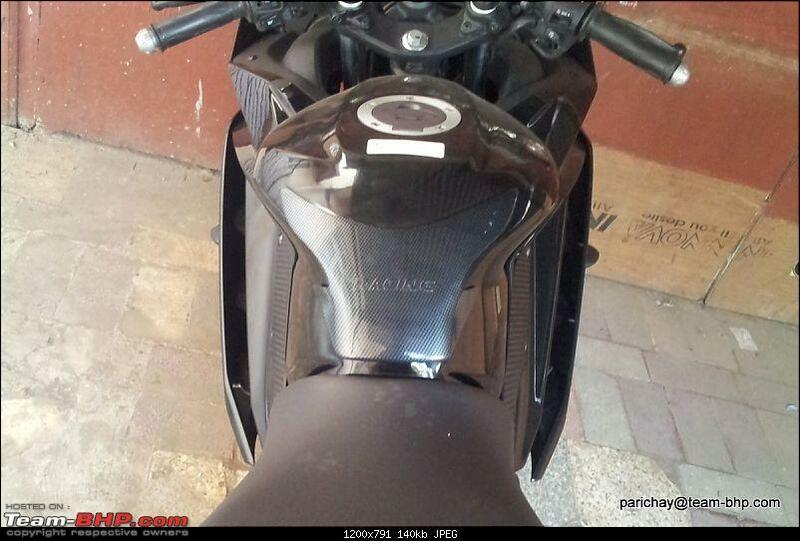 To design its fairing, I used a part from KTM 1190 RC 8 and combines with Pulsar 200 NS. I was modified the headlamp shapes, added the turn signal lamps and also the mirrors. 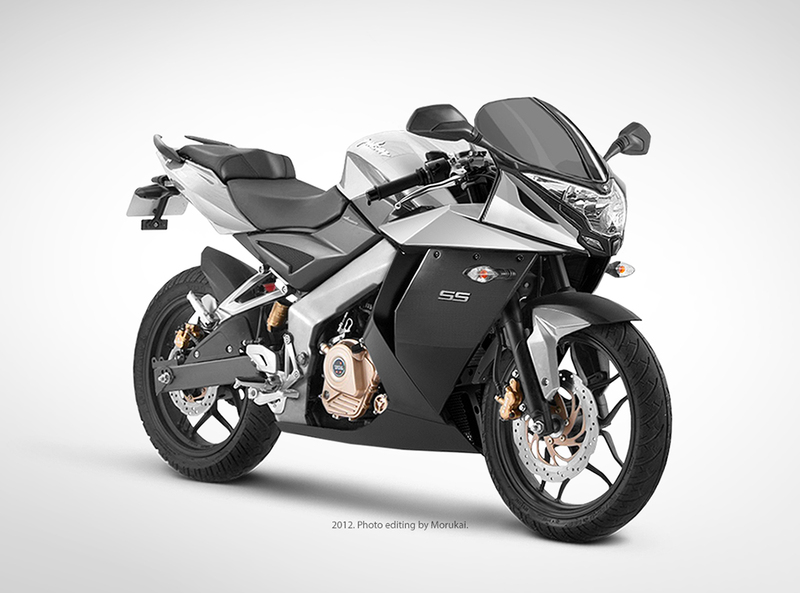 What do you think about this custom Pulsar 200 SS? This is an artwork caricature, a tribute submission to Jeffrey Polnaja. He is an Indonesian adventure rider who travelled around the world using his bike. He has experienced in any conditions or situations during the journeys. His bike been shot, trapped in a border country, crashed by truck, ride on damaged road, etc. He captured photos and videos of the journeys by himself. Sometimes when he had visited a country, he's invited to become a speaker in a workshop. 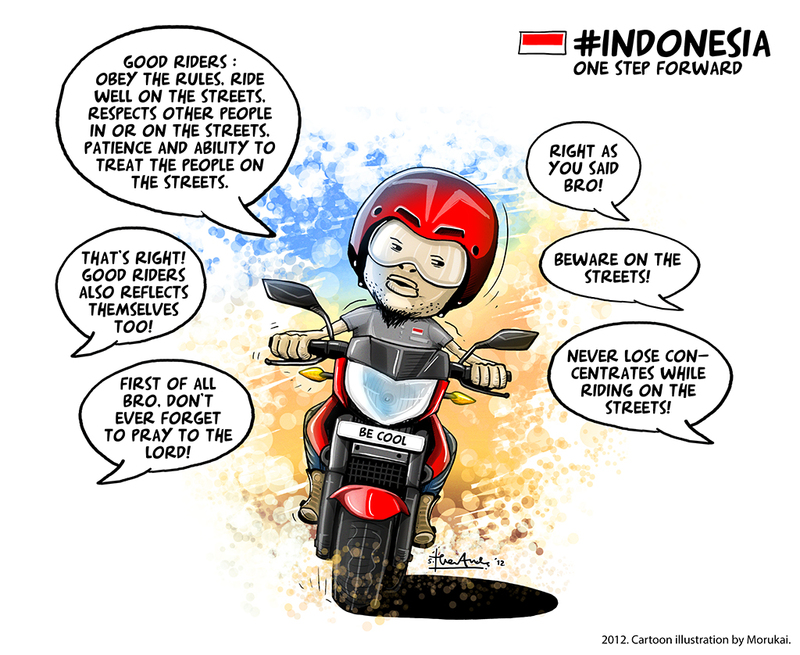 In his journeys, he always bring the peace mission "Ride For Peace", and introduced Indonesia to the people. 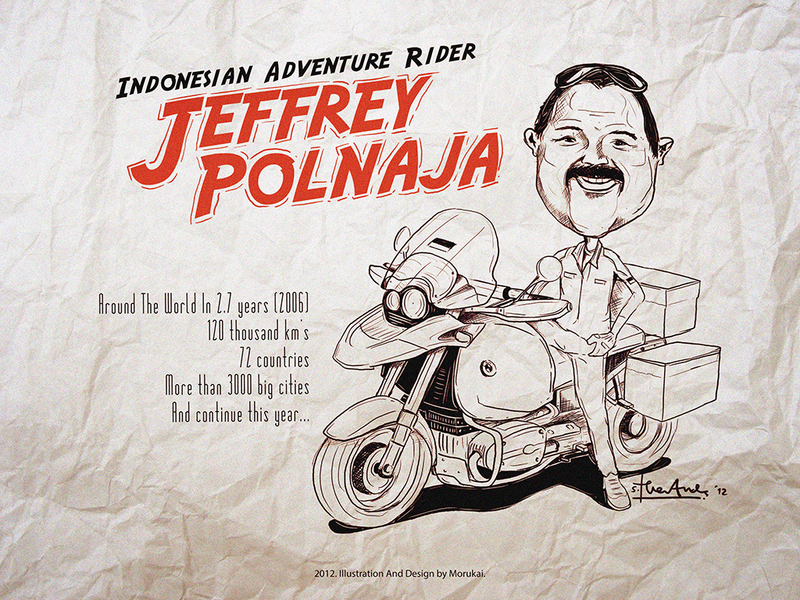 A caricature of Jeffrey Polnaja with his BMW R1150 GS Adventure. Sketch illustration by Morukai. 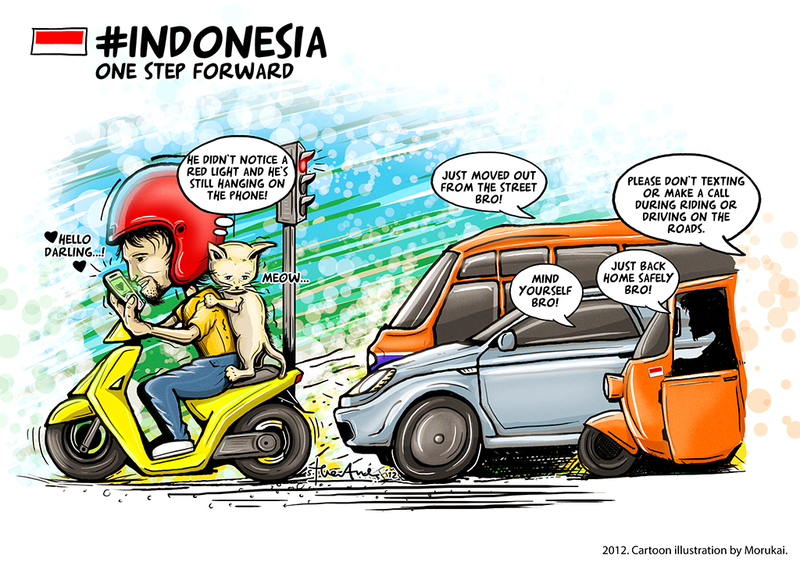 These illustrations describes what most happened every day in Jakarta. 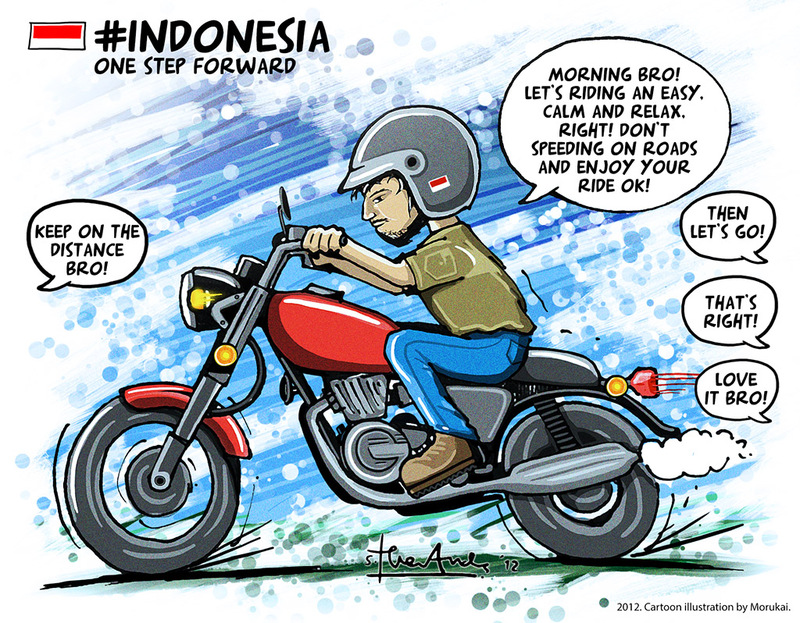 The stories are commonly a riding attitudes, a tribute submission to Indonesia "One Step Forward". Jakarta is capital city of Indonesia with largest population. The vehicle industries growth fast too in the city. 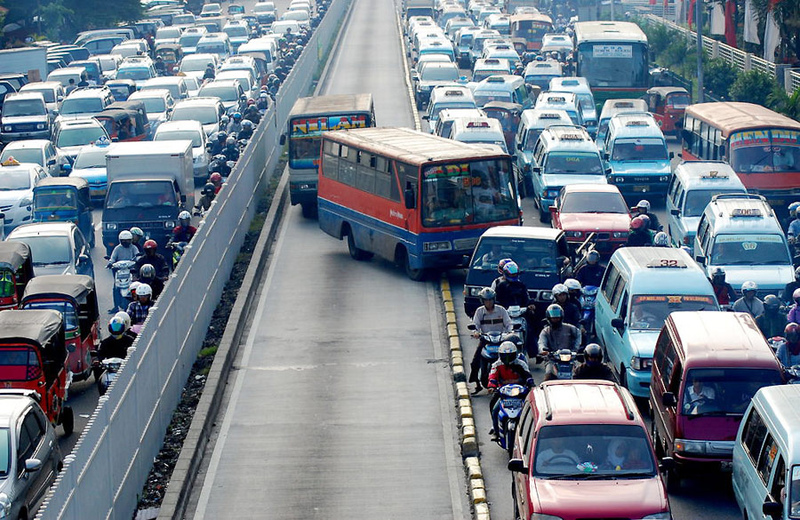 As listed globally on internet, Jakarta is the most traffic jams city around the world. 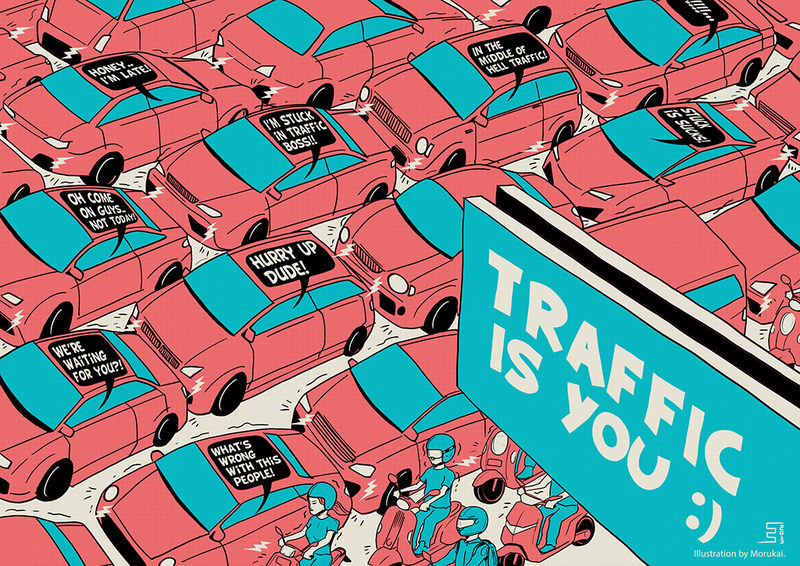 Unfortunately, people on the roads never realised their bad attitudes could make it worse. What would happen if people changes their bad attitudes? Riding safely on the roads. Cartoon sketch illustration by Morukai. Good riders obey the rules. Cartoon sketch illustration by Morukai. Don't texting or make calls while riding or driving. Cartoon sketch illustration by Morukai. Rides safety and safely no matter what's your gender. Cartoon sketch illustration by Morukai. Protects yourself with safety gears and riding skills. Cartoon sketch illustration by Morukai. Have you seen Priest film that motion at cinema in 2011 directed by Scott Charles Stewart? That sci-fi horror film was about the journeys between humans, priests and vampires that had joined together at the battles for centuries in an alternate world. 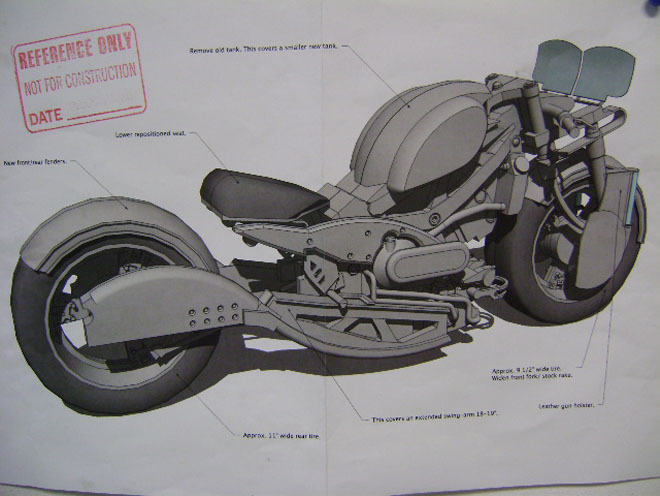 There's a lot an innovate products and the prototypes which dominated by the motorcycles in the film. Priest film takes a lot scenes at desert, and I thought all of motorcycles designed with it purposes too. 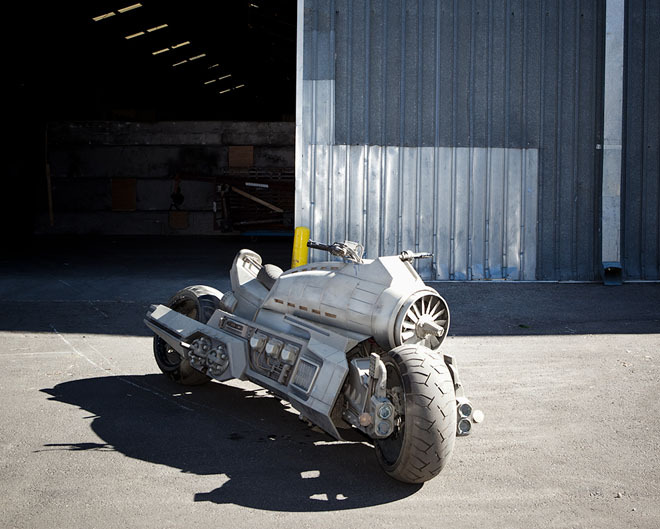 What do you think about the motorcycles that showed up on film? The set of scenes looks similar with Mad Max films and Resident Evil Extinction film. Those wardrobes and vehicles had a dirty look, sandy, dusty and rusty. The vehicles usually equipped with special weapons and hi-tech stuffs. The purpose was winning the battle at desert! Priest bikes built and assembled from the Suzuki Gladius 650, a V-Twin engine 645 cc four stroke 2 cylinder naked bike. I thought the Priest bikes was a chopper or an American muscle bikes, but it were from Japanese sport bikes. 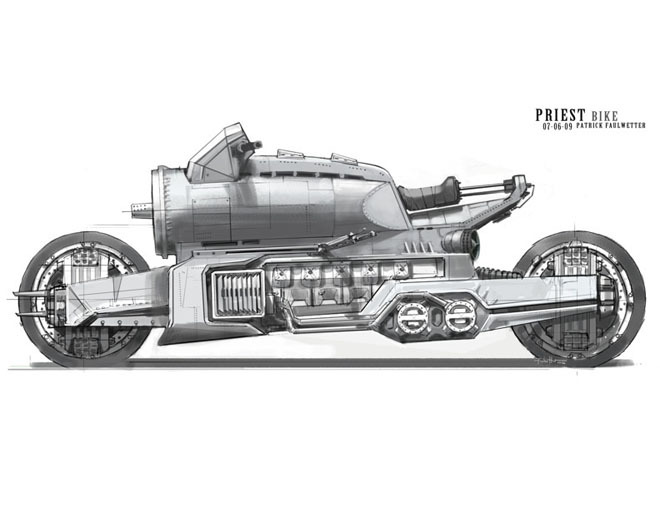 Priest bike has an aircraft turbine and machine gun weapons. The custom builder did a changes on the wheelbase to make a length of the bikes longer. I'm just wondering why the most vehicles in sci-fi films looks dirty, is it our futures just like in Priest film scenes at desert? 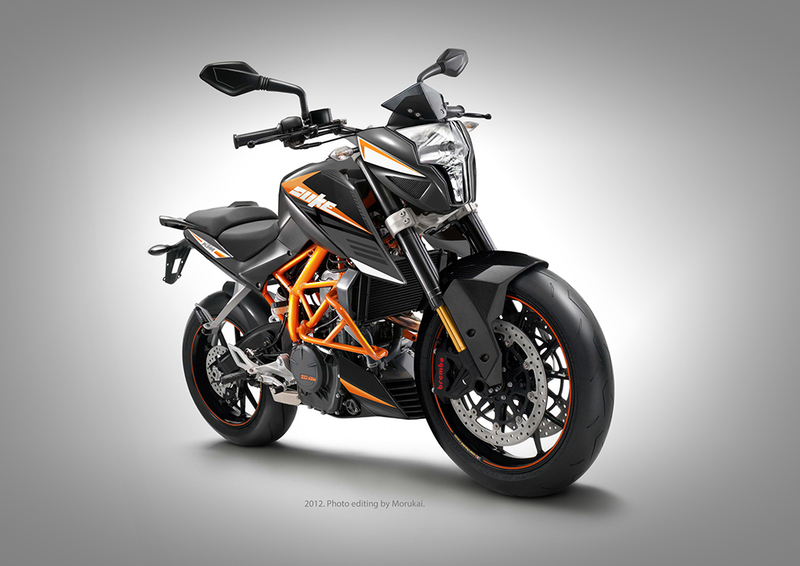 The KTM Duke 200 is a new comer bike and still be the hottest topics in public and social media in the internet. 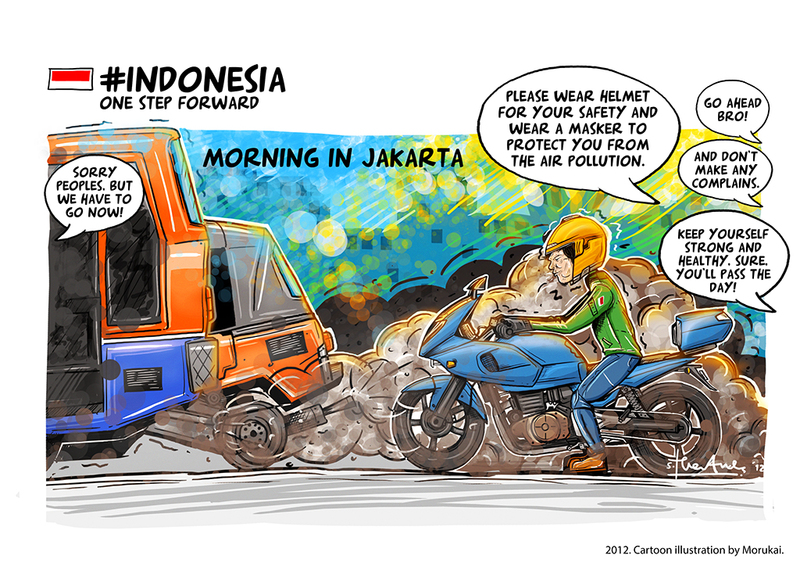 There's a rumours, bike enthusiasts in Jakarta worry about the exhaust position placed under the machine engine (currently called as the underbelly exhaust). It is one of technologies that currently used on sport bikes and superbike model. KTM Duke 200 has it technology too, and has been tested through the flood waters. 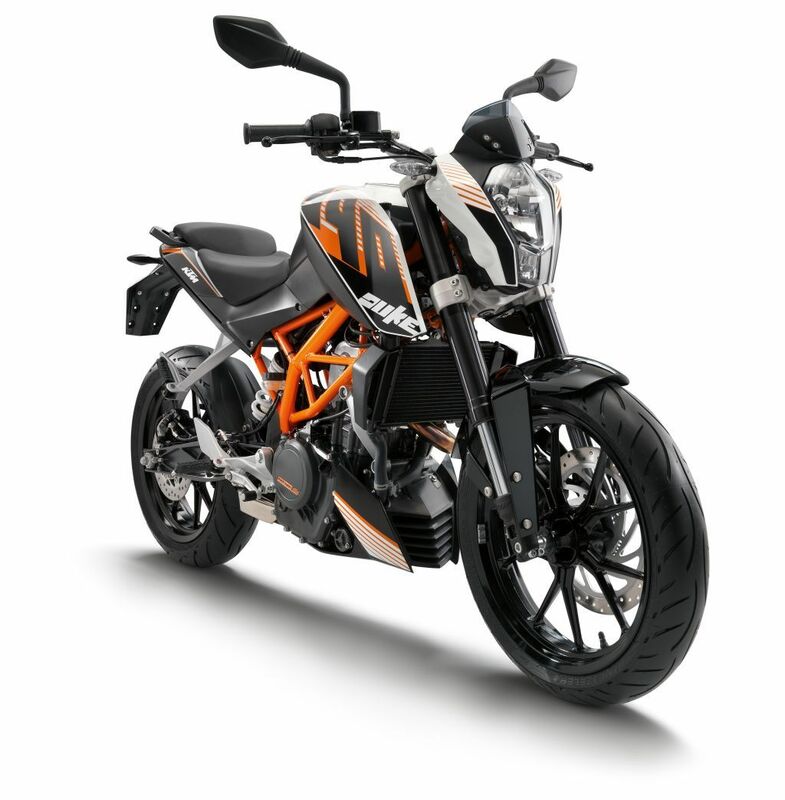 Recently, KTM Duke 200 has passed the test because its stable engine so far. It's provides that underbelly exhaust wasn't a problem as people worried about. But some people changed its exhaust, and here is what they did on the bike. What do you think ? These are two different bike with different manufacturers too. 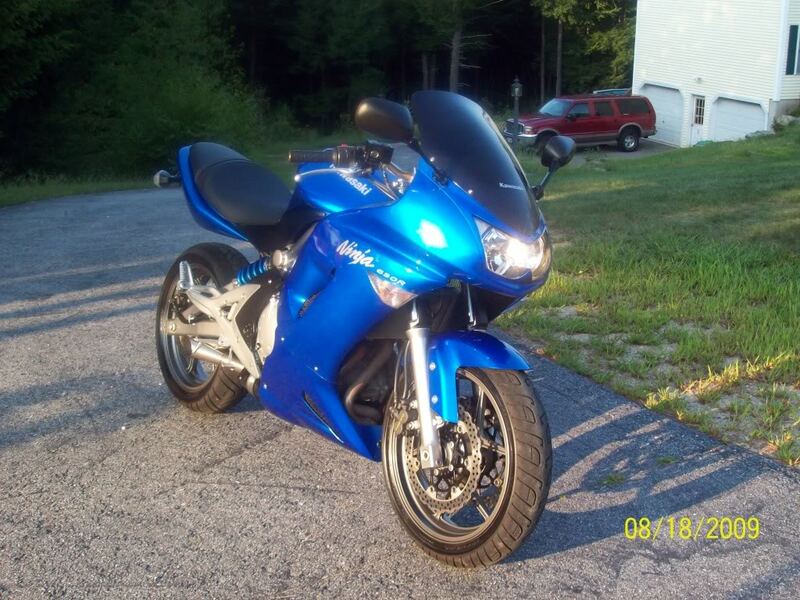 Kawasaki Ninja 650R and Yamaha YZF1000 Thunderace. These bikes are unique, because those headlamps were built on similar design. Each bikes has a double lamps too, and its designed on same style. 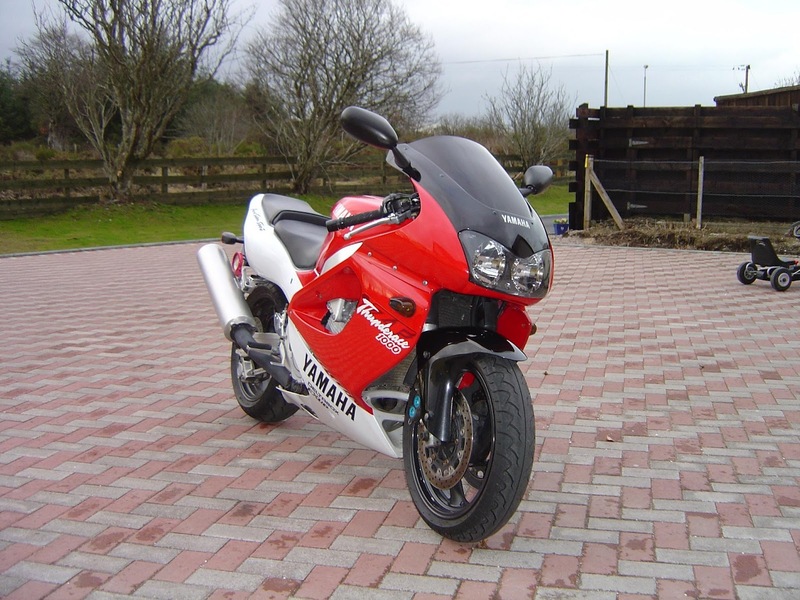 Yamaha YZF1000 already in markets since 1996 to 2003, but Kawasaki Ninja 650R was in 2006. That's provides Thunderace is the first used the headlamp design. If the essential things is running successful, the government and public ready to build together the infrastructures in the city, public facilities and public transportations, etc. Sebagai seorang bike enthusiast sekaligus pengguna Bajaj Pulsar 180 UG3, tentunya saya juga dihadapkan oleh realita tentang kasus sparepart yang hingga kini masih menjadi masalah terbesar konsumen Bajaj di Indonesia. Lihat saja kasus sparepart ini akhirnya dialami juga oleh pemilik blog haryowidodo.wordpress.com dan apabila kita perhatikan sekian banyak kasus minimnya sparepart Bajaj akan kita temukan dimana-mana gak hanya di dunia maya saja dan konsumen Indonesia dirugikan. 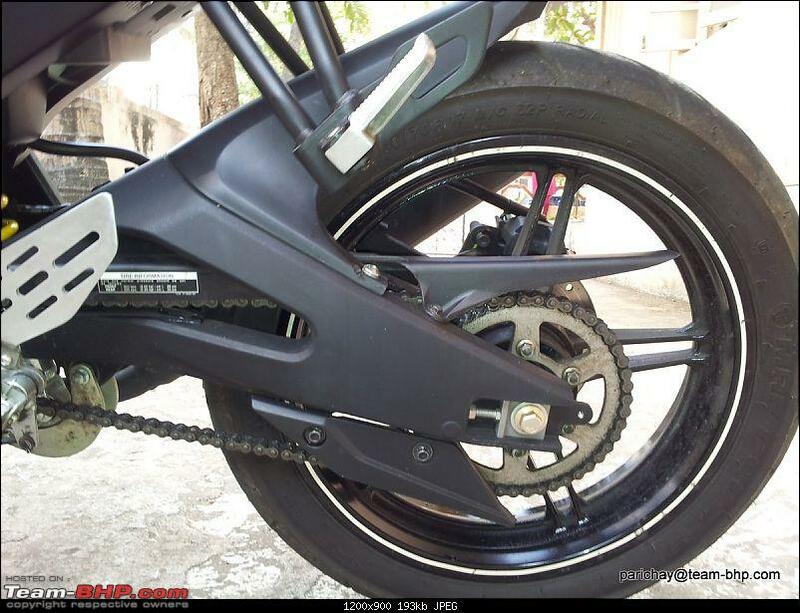 Beliau mengalami kesulitan mencari beberapa part seperti spakbor belakang, swingarm, footstep kanan, tuas rem kanan dan master rem belakang. Berbulan-bulan beliau menunggu part tersebut namun tak kunjung datang juga. Mana respon dari Bajaj Auto Indonesia (BAI)? Saya rasa memang BAI tutup mata dan tutup telinga untuk kasus-kasus sparepart yang dialami oleh konsumen di Indonesia. Yang mengherankan adalah sejak akhir tahun 2006 hingga 2012, BAI tidak berubah. Bayangkan saja, 5 tahun sudah BAI berkomitmen menjadi ATPM Bajaj di Indonesia, namun kenapa masih ada saja kasus sparepart yang sulit didapatkan hingga 2012 sekarang? Sekian ribu alasan sudah pernah diutarakan oleh BAI seperti yang pernah saya dengar dari kerabat saya, seperti sparepart tertahan di pelabuhan...salah persepsi mengenai pemesanan sparepart titik dan koma, dll. Lalu apakah alasan tersebut cukup untuk membuat konsumen puas? Saya rasa tidak! 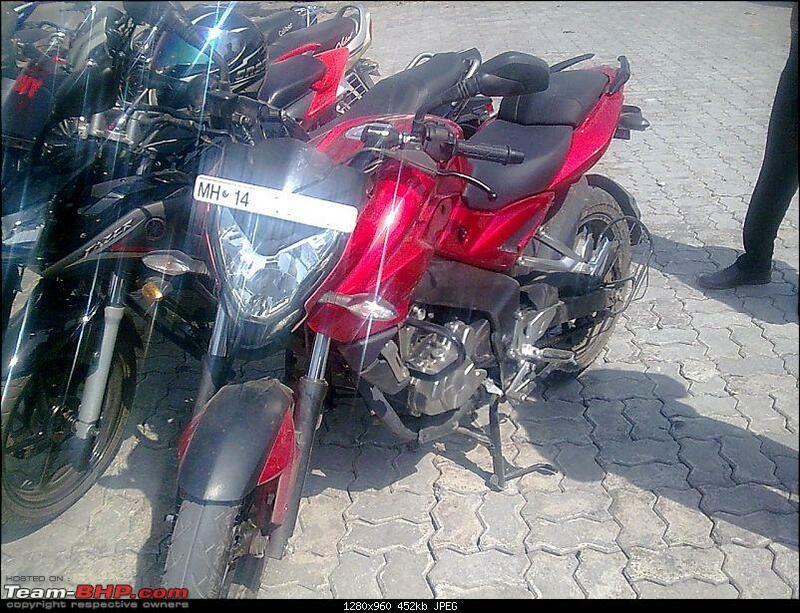 Beberapa gambar dibawah ini merupakan milik salah satu bike enthusiast asal India yang melakukan review terhadap Yamaha R15 v2.0 setelah dikendarai dengan jarak tempuh sekitar 4000-an km. Secara garis besar rider ini sangat puas dengan kuda besi yang dimilikinya, demikian pengalamannya. Motor ini berpenampilan layaknya superbike, swingarm yang panjang memberi efek traksi yang jauh lebih baik pada roda belakang, ban lebar lebih stabil di jalanan, tetap bertenaga walau berboncengan dan konsumsi bahan bakar irit mencapai 40-an km/liter. Yang dirasakan kurang pas pada motor ini adalah, tenaga motor hampir sama (mungkin saat dibandingkan dengan R15 generasi pertama), jok agak keras perlu ditambah busa, posisi riding terlalu ke depan mengakibatkan pergelangan tangan sakit saat berkendara (mungkin ridernya berpostur tinggi dan besar). 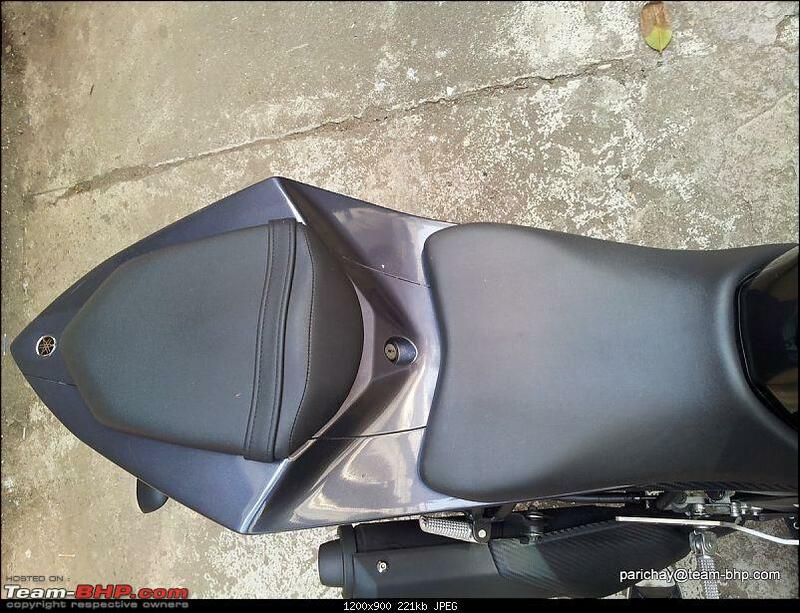 Menurut saya Yamaha R15 v2.0 memiliki detail dan desain yang sangat menawan, desain fairing, seat cowl, deltabox, silencer, mud guard, rear fender, swingarm, dan velg. Mungkin akan lebih kekar lagi apabila ada optional untuk tipe profil ban dan velg lebih lebar dan aplikasi upside down. Maklum di Indonesia itu rata-rata suka yang namanya modif terutama area kaki-kaki :) Selamat menikmati dan salam! 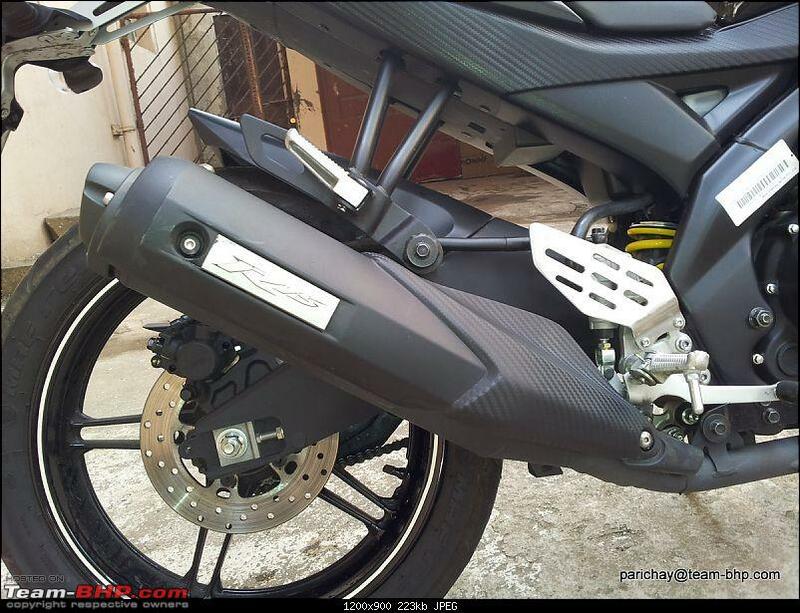 Pulsar 200NS sekali lagi menjadi topik yang kesekian kalinya di blog ini, sebenarnya saya sudah mulai bosan :) Habis kapan nongol batang knalpotnya ya? Tapi, kebetulan lagi bertamu ke team-bhp.com eh nemu foto-foto yang lumayan fresh dan banyak nih. 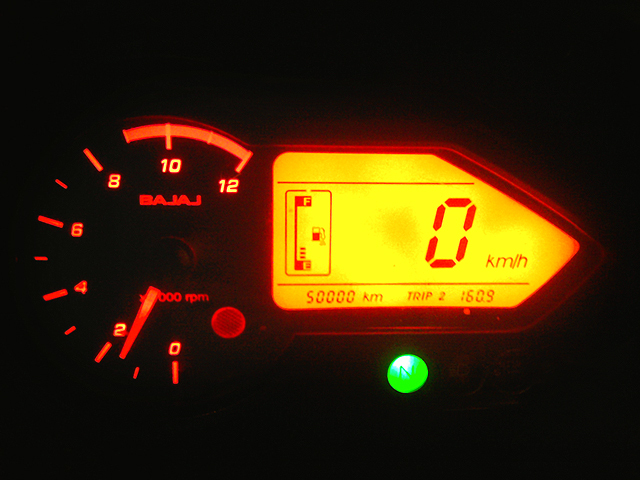 Kali ini Pulsar 200NS tampil dengan tampang yang sesungguhnya. Apakah itu? 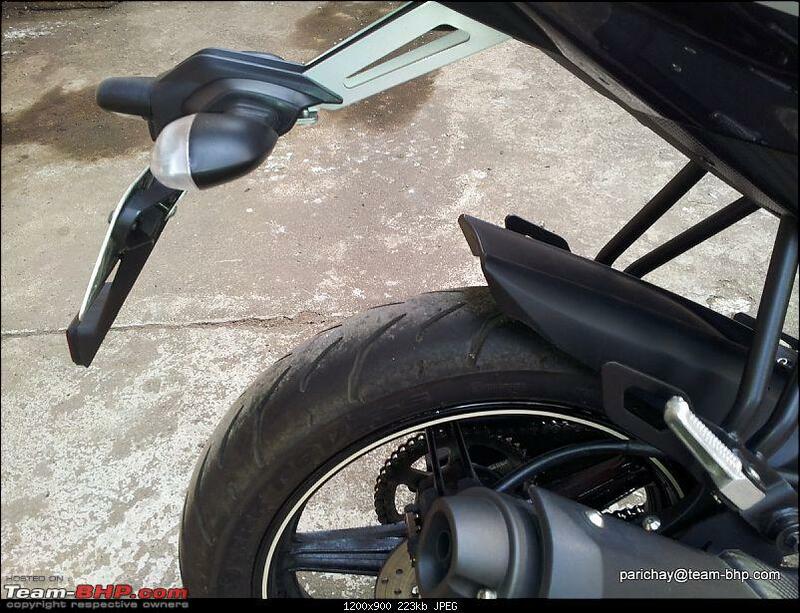 Ternyata mud guard / rear hugger / spakbor penahan lumpur yang terletak di bawah buntut Pulsar ini sebagai aksesoris tetap yang merupakan ciri khas yang pernah diterapkan di Pulsar sejak generasi Pulsar 180UG3 hingga Pulsar 135LS. Dan tak ketinggalan juga aksesoris seperti saree guard yang selalu ada di setiap motor-motor produksi India. Photo edited by Morukai. Custom between Vespa GT125 and Piaggio MP3. © 2015. morukai.blogspot.com. Simple theme. Powered by Blogger.